"Melissa Harris-Perry" the TV show ended not with a celebration or a cancellation, but with a tug of war over Beyoncé. It was Super Bowl Sunday. The previous afternoon, Beyoncé surprised her fans by releasing a politically charged new song, "Formation." Conversations about race, gender and politics are a cornerstone of Harris-Perry's acclaimed talk show. But executives at MSNBC wanted her to just cover presidential politics that day — no time for "Formation." "Her executive producer had to fight for it," according to a source who recounted the skirmish. Harris-Perry won the Beyoncé battle but lost the war, which had been raging for months. She has not hosted since that day. On Friday, she spoke out publicly, saying she had been "silenced" by MSNBC and placed in a form of cable news purgatory. "I love our show. I want it back," she said in a letter. Now she is on strike, refusing to host until she can return to the "substantive, meaningful, and autonomous work" she used to do on MSNBC. Her MSNBC contract expires in October. Two sources agreed it is "highly unlikely" she will ever be back on the show. This fight — fundamentally about editorial control — comes at a time when MSNBC and its rivals are trying to squeeze higher ratings out of the chaotic primary season. At the same time, MSNBC has been undergoing a radical brand transplant, replacing left-leaning opinion shows with more middle-of-the-road newscasts. Progressives feel like the liberal MSNBC they loved is fading away. Harris-Perry's fans are firmly on her side; thousands of supporters tweeted about the stand-off with MSNBC on Friday and Saturday. Planned Parenthood president Cecile Richards wrote that Harris-Perry "included such important issues and voices" on her show; "seriously hope she will be back." Some commenters have accused MSNBC of repressing minority voices by minimizing the roles of black hosts like Harris-Perry and Al Sharpton. Harris-Perry herself brought up race in her Friday letter, which was originally only sent to colleagues. After The New York Times reported on the standoff, she asked a friend to publish it on Medium. The letter noted a "dramatic change" in the "editorial tone and racial composition of MSNBC's on-air coverage." MSNBC is in a bind. Now that Harris-Perry's letter has publicly shamed the channel, some TV observers believe chairman Andy Lack and president Phil Griffin will dismiss her for insubordination. "That statement sounded like a door-closer to me," a former MSNBC executive producer said. An MSNBC representative declined further comment on Saturday. On Friday, MSNBC said other shows had been pre-empted for election coverage too, so her reaction was "surprising, confusing and disappointing." It is true that two weeks of pre-emptions would not typically be cause for concern. But "Melissa Harris-Perry" is not a typical show and she is not a typical host. A professor and writer, Harris-Perry was called "America's foremost public intellectual" by Ta-Nehisi Coates. MSNBC's decision, back in 2012, to give her four hours of weekly air time was, to put it simply, a big deal. Her hiring was championed by prime time host Rachel Maddow, among others. Harris-Perry's show "has made television smarter since its inception... and is one of only places to offer rigorous, thoughtful consideration of race and gender in politics," New York magazine writer Rebecca Traister tweeted. 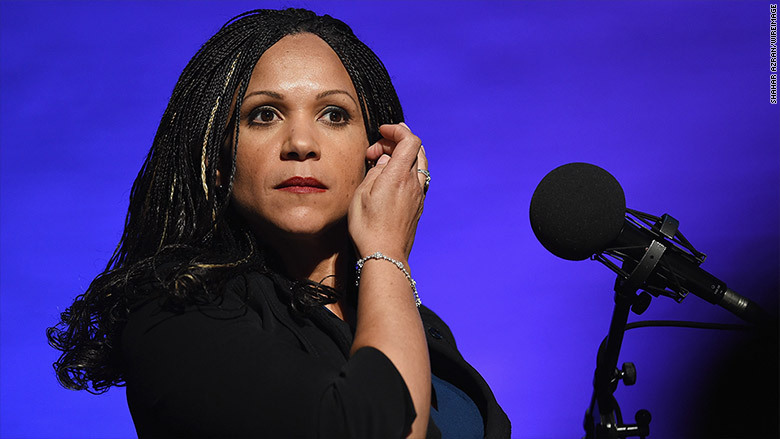 In some ways "Melissa Harris-Perry" symbolized the Obama era of MSNBC -- diversified and proudly left-leaning, but also polarizing and not always popular. The show, like MSNBC as a whole, routinely ranked third in its time slots behind Fox News and CNN. MSNBC began to move away from the liberal talk show approach more than a year ago. Harris-Perry's show remained a refuge of sorts, but the show came under increasing pressure to stay on top of the news cycle, according to people at the channel. What some would call smart programming decisions, others would call a dilution of what made Harris-Perry's show special. On Sunday, January 31, she awkwardly co-hosted her own show from Iowa ahead of the caucuses there. The following week -- Super Bowl weekend -- her show's branding was stripped away and replaced by MSNBC's generic "Place for Politics" title. In a brief phone conversation, Harris-Perry said the February pre-emptions were merely the most visible manifestation of the channel's marginalization of her show. By the time she wrote her letter, it was evident -- through actions, not words -- that she'd been canceled. MSNBC disputes this point of view. Harris-Perry said she is not trying to direct any activism. "I am so moved by, and humbled by, the response of not just my audience but people who weren't even my audience. It's very powerful and meaningful," she said. "But I'm also not looking to put myself at the center of some sort of civil rights narrative. I just wanted to be able to speak. I wanted to tell people what was going on." Back on February 7, she covered the Beyoncé video in-depth and said "I will see you next Saturday." But she was bumped on February 13/14 and again February 20/21. "Our show was taken — without comment or discussion or notice — in the midst of an election season," she wrote to staffers. She said "no one on the third floor," where MSNBC's executives work at 30 Rockefeller Center, "has even returned an email, called me, or initiated or responded to any communication of any kind from me for nearly a month." She said her name was put on the schedule for February 27/28, but "the purpose of this decision seems to be to provide cover for MSNBC, not to provide voice for MHP Show." "I will not be used as a tool for their purposes," she wrote. "I am not a token, mammy, or little brown bobble head. I am not owned by Lack, Griffin, or MSNBC." Now Harris-Perry is letting others — presumably lawyers or talent agents — communicate with the "third floor" for her. Joy Ann Reid replaced Harris-Perry on the air Saturday morning. Reid, whose daytime show was canceled last year, has remained in the mix as a reporter and substitute host. She tweeted support for Harris-Perry: "Love my sister-friend... for her brains, her heart and her generosity of spirit." Reid made no mention of the controversy on the air. Another black woman who has filled in for Harris-Perry before, Tamron Hall, responded to critics on Twitter Saturday morning, saying the voices of all three women "will be heard." "Jobs come and go," Hall wrote, "it's simple." Usually, yes, but in this case it's much more complicated, both because of the racial component and curiosity about what MSNBC is becoming. As one longtime friend of Harris-Perry's put it: "Is there room for a militant black professor on the new MSNBC?" Harris-Perry herself telegraphed this moment during a discussion at The New School in 2013. "I show up on TV and say words because, at the moment, I have the cover of a powerful white man," her boss at MSNBC, she said. "The moment that that powerful white man no longer wants me to sit on TV and say words, I will not be allowed to sit on TV and say words anymore."